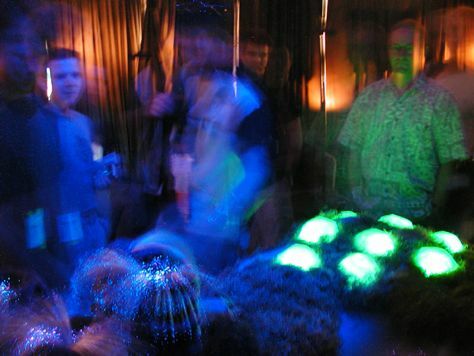 Part of the Media Lab’s Public Anemone exhibit at SIGGRAPH 2002, these tubeworm robots were inspired by their namesake sea-creatures. The consisted of fiberoptic ‘tentacles’ paired with a capacitive sensor under its shell that could sense the proximity of a person’s hand. 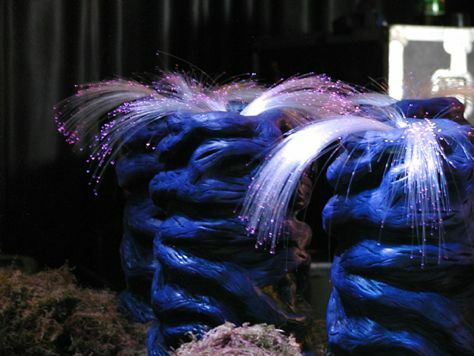 The fibers would pull in and change color when a person approached. I constructed Dan Stiehl’s design. This was my first robotics project! !